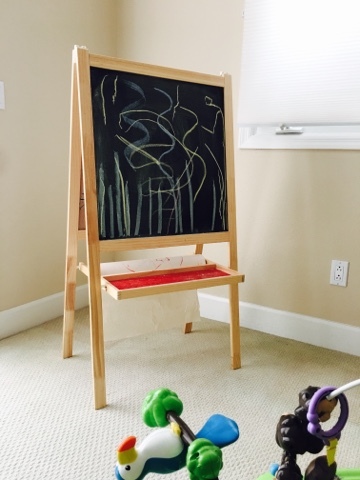 Before I had Savvy Babe, I imaged my house would be stylish and organized even after kids. Well, that didn't happen. Apparently babe didn't get the memo. After much frustration with the mess allover the house, hub voluntarily gave up his study so I could set up a play area and take back rest of the house from the babe and his toys. I figure this will only be a passing phase, so I don't really want to spend too much money. I looked to IKEA for cute ideas. I started with storage cubes for $25 each which became room divider and his toys and books could be arranged nicely. This way I can section the room into 2 areas. One for playing and one for reading/craft time. Each little section within the cube act as a nice storage for individual toys. This way, he will learn to clean up and place things back into its original home. Well, we are working on cleaning up so fingers cross! 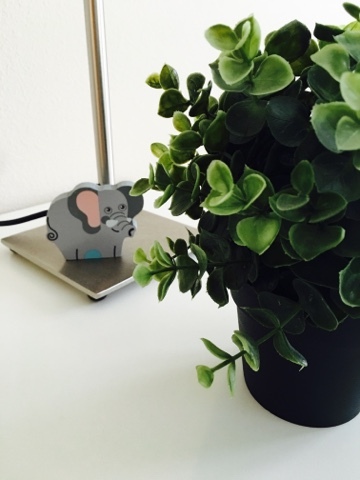 For fun, I added a little plastic green plant from IKEA for $5 which add a little greenery and interest to the room. It also ties the forest and animal theme together nicely. 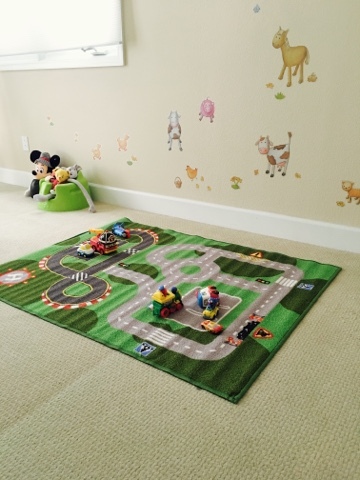 I saw this rug at IKEA which acted as a driving track for his trains and cars. It's only around $12 but how cute right?! This rug also define the space in the room. Babe is fascinated with drawing now so an art area is a must. This we got from IKEA for around $10 a few months ago. 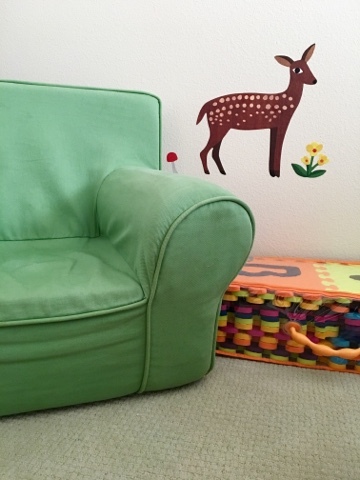 For his playroom, I also set up a little area for reading in comfort. I got this anywhere chair from Pottery Barn last year while it was on sale for $79. One of my best purchase for the babe. He loves to sit in his chair. Lastly, to make the room more fun, I got wall decal online from Target. I think all the decals are about $30. 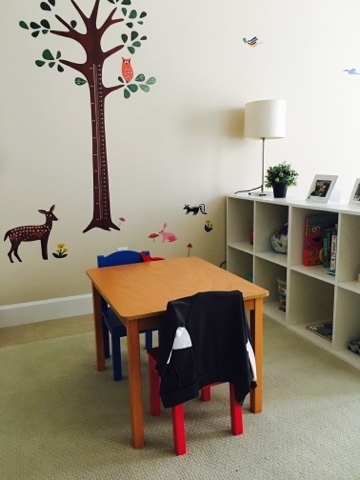 Now the room is truly a child's playroom that is great for quiet time or playtime. Best of all, I can quietly close the double doors and the mess is contained within that area only leaving rest of the house clean and organized. 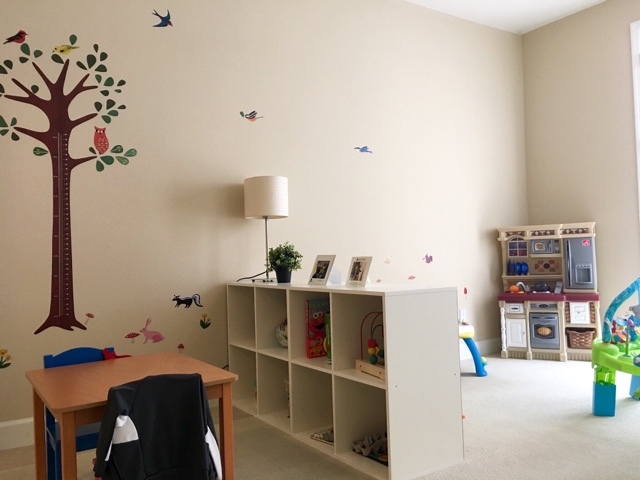 Total $ spend to set up playroom is $97. Rest of things are already there, just scattered around the house and now nicely organized in a room. 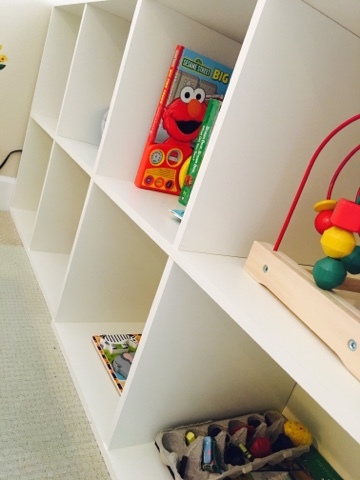 *a friend didn't have extra room to spare so she used the same cubes to create a section in her family room so all the toy and mess are contained in the area. She hid the cube and the area behind her soft so when the play area would not be visible upon first entering the house..